Morpheus is not to be trifled with. Yeah, I mentioned her before, but she deserves a spot all her own. 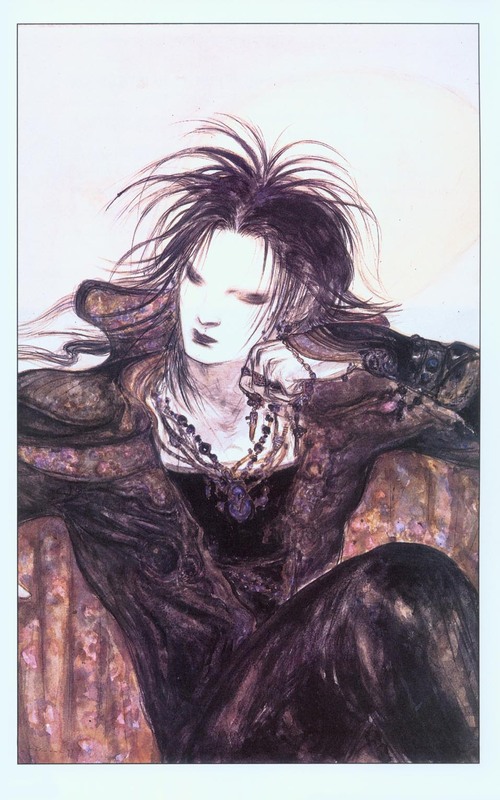 Death first appears in The Sound of Her Wings, a one-shot that takes place between Preludes and Nocturnes and The Doll’s House, the first and second chapters of The Sandman. She appears again in Façade, where she speaks to a frustrated immortal. In the next chapter, Seasons of Mists, she compels her brother to do the right thing after wronging a former lover. That’s the most compelling thing about Death: she’s good to her very core. Granted, as the immortal personification of The End, she doesn’t have much to worry about. But she could have been aloof, or uncaring, and she is never those things. She is sympathetic, and sweet, and even when she strongly disagrees with a character, she does it in the best possible way. Everyone falls in love with Death, just a little bit. It’s part of why she’s so good at her job. Many of the characters in The Sandman are originally from other DC properties. Most of them make cameo appearances, appearing for an issue or two and then never again. Prez: The First Teen President ran for four issues in 1973 before being cancelled. Neil Gaiman takes the premise of the story — that baby boomers quickly take over politics and rewrite law to the point where an eighteen-year-old can become president — and writes a story so full of optimism you can’t help but feel a little patriotic. The single-issue story, called The Golden Boy, is drawn by Michael Allred, whose clean lines fit the story just right. Prez was born to be President of the United States. His mother knew it the moment he was born, and named him appropriately. He is level-headed, thoughtful, and charismatic. He’s the perfect candidate. Everyone wants to claim Prez as their own. Politics without cynicism is so rare, it’s almost always refreshing. Such is the case with Gaiman’s reimagining of Prez in The Golden Boy. It doesn’t tell the tale of our America. It’s about a better one, and it gives us something to aspire to. In interviews, Neil Gaiman has said that Delirium gets all the best lines. Sometimes funny, sometimes touching, sometimes profound, Delirium is difficult to pin down. She is both simple and complex, alternating between clever and confounding. It is difficult to combine tragic and bubbly, and yet that is what she is. I don’t know what else to say. I’ll let Delirium speak for herself. One of the luxuries afforded Neil Gaiman is the power to choose the artists who draw his stories. 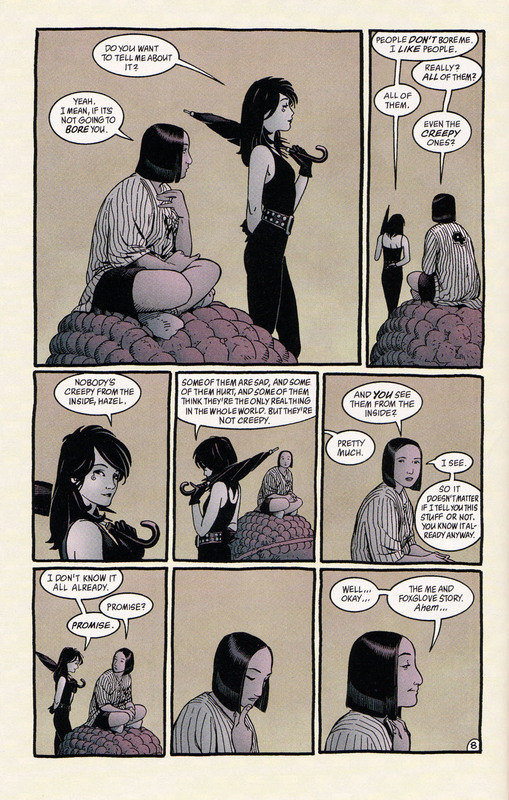 Every story in The Sandman has a tone set as much by the art as its script. Although I think this is most apparent in The Kindly Ones, The Dream Hunters illustrates this point quite well. I didn’t read The Sandman in order. Most comic book collections(often referred to as trade paperbacks) collect a single story, but each story is typically quite self-contained. This is not the case with The Sandman, but I did not realize this when I picked up The Kindly Ones. It was the first Sandman collection I read, and though it spoils pretty much the entire story, I didn’t mind. I was hooked from the end, which for me was the beginning. The Kindly Ones is the culmination of eight previous collections, but it can be enjoyed on its own. It’s easier to read the tale from its proper beginning, but not impossible. The characters hooked me immediately, and I had no choice but to seek the beginnings of their stories out. The expressive lines of Marc Hempel perfectly capture Lyta Hall’s descent into madness. Although there is another collection that follows it, The Kindly Ones effectively ends the story of The Sandman. Very early on, Gaiman points out that it’s important for a story to stop. Nowhere is that more clear than here.